Call Us Now for an Obligation Free Quote! Have you ever wondered how some people manage to get so much done in a single day? Almost as if they have some magical secret of efficiency that they haven’t told you about. While being a hard worker, doing things quickly and avoiding distractions can all help, there is only so much time in the day. And of all the things you have to do to maintain your Newtown home or business, do you really want to spend your day disposing of old and unwanted junk the hard way — by hand loading into a skip bin, or perhaps taking several loads to the waste recycling facility? So what is the secret to efficiency and getting so much done in the one day? Delegation. It’s as simple as that. By working with a team of experts you can get so much more done in a single day. Yes it will cost you, but it can make such a huge difference, and oftentimes that can mean the difference between getting the job done TODAY, or not ever getting around to getting the job done. 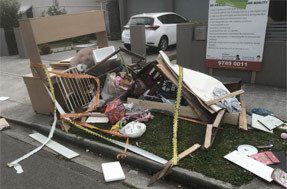 Same-Day Rubbish Removal have been in the business for over a decade, and what might take you a month worth of hard slogging on weekends taking trips to and from the rubbish tip will likely take us an hour or two. Our trucks can carry several times more than your small trailer, and what’s more, our strong and friendly team will pickup and load up all your items while you get on with whatever it is that is important to you. When you factor in the massive time savings, and the cost of tip fees, trailers, skip bin rental, delivery and pickup our service is very well priced. Give us a call today for a free quote. Whether it be old furniture, mattresses, beds, white goods, or garden green waste — whatever it is, we’ll promptly pickup and dispose of it. We also regularly dispose of general household garbage, garage cleanouts, building waste, old timber, pavers, washing machines and more. Ask us about same-day service to Newtown. 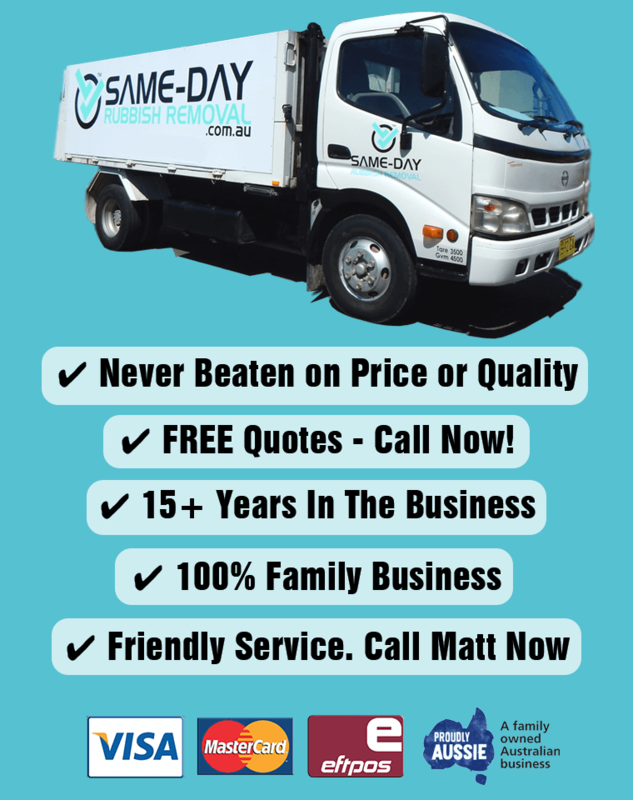 In facts, whether you’re located in the Inner West, Sydney CBD, up in the Norther Beaches, or down in Sutherland Shire, prompt and affordable junk removal is what we’re all about. You won’t be disappointed. 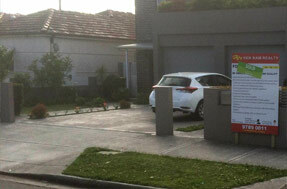 Pick up the phone now for a free rubbish disposal quote.